Babies are wonderful. They are cute, cuddly, innocent, and ensure that the human race will continue on. Babies are also living sickness spreaders, bad when it comes to doing chores around the house, and money sinks. Also, making sure that your miracle child develops naturally comes at a price. You, as the parent, must do everything in your power to provide the best opportunities for your child, whether it is breastfeeding your baby or sending your child to the best school in the area. Most of the time providing the best care for your child is costly and requires work. However, there are products that are currently on the market to make your life as a parent and mother easier. For instance, imagine a way to carry your baby around and still have your hands free to use your phone, grab the baby bottle, or to rub your babies back. Baby ring slings are a wonderful invention. Very few mothers out there would disagree with this statement. 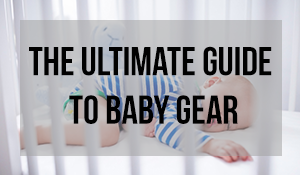 If you have ever had the pleasure of carrying an infant around for hours at a time, then you know the hardship and ache of caring for your baby and not having hands to do anything else. For those new to the mothering world, baby ring slings are blanket like wraps that are wrapped around the mother’s shoulders and then around the baby so that the mother can be hands-free while swaddling her child. As well, the baby ring sling doubles as a blanket to cover up the mother and baby when breastfeeding. Lastly, on a chilly day, the baby ring sling provides cozy warmth for the baby. This article attempts to document the best baby ring slings from a mother’s perspective. That is, the price, comfort and materials, safety, style, and functionality taken into account for each product. The Bibetts Pure Linen Ring Sling is at a more affordable ring sling than most ring slings which makes us think that it is not reliable. However, this ring sling uses aluminum rings and a single layer of linen to drive down the cost. In terms of comfort, this is made from 100% linen, so it will take a few uses to get that soft feel. As well, it consists of a single sheet of linen, so there will not be much temperature control as other ring slings. Also, your clothes will be completely wrinkled after an hour of carrying your baby. While I would assume that the baby can be swaddled such that it can rest in a laying position, it looks like the primary position of the baby is in an upright position (which is the position that you will want to carry your baby in). Because this product is 78 x 28 x 2 inches, the mother might not have to unwrap the linen in order to cover both herself and the baby during breastfeeding, which would be handy. Lastly, this sling comes in three solid colors: cobalt, cool mint, and sweet colorful dot and is lead and phthalate free. The Luxury Ring Sling Baby Carrier is a little more expensive than the last ring sling. However, this ring sling offers more advantages. For one, this sling is made out of bamboo and linen. The added bamboo makes this sling soft to the touch from the first use. As well, you will not have to worry about your own clothes getting wrinkled from using this sling and this sling should keep your baby warm on cool days and cool on warm days. In terms of style, the color choices are similar to the previous sling in that your choices are black and beige. While the pictures make this sling look fairly large, the product description only gives package dimensions which is less than helpful. In terms of safety, this ring sling offers more safety than the previous ring sling because it is a thicker material and will hold your baby in position much stronger. Lastly, this company give 5% of profits to families in need. This is in the running for the best ring sling on the market. The Hip Baby Wrap Ring Sling is a very affordable ring sling. It is made from 100% cotton. While this will feel soft, the environmental impacts of cotton production are devastating. This ring sling comes with aluminum rings to help drive down the cost. While it is machine washable, it’s dimensions are less than desirable. At an unfortunate 17.7 x 13.8 x 1.3 inches, the mother will always be wanting more material to wrap. This plays a huge role in safety as well. Larger babies, who still meet the maximum 72 pound weight limit, will definitely have an issue being carried in this ring sling. This ring sling is on the upper echelon of expense for baby slings. This is totally due to the padded shoulder that is supposed to put your shoulders at ease as well as distribute the weight across your back. The dimensions of this ring sling are comparable to the Bibetts linen ring sling, but only comes in a purple color. The dimensions are 78 x 32 x 0.1 inches which should be suitable for breastfeeding without having to unwrap the sling. However, the 0.1 inches dimension is a little concerning, especially since this is 100% cotton. This is the most expensive ring sling that is reviewed in this article. This ring sling is so expensive because it comes with a removable, zippered pocket to keep just about anything from a small wallet to the baby’s pacifier or bottle. This sling is made from premium linen, so it will take a few uses to feel very soft. One big difference in this sling is the ring material. These rings are made from a zinc alloy so they will feel more durable and will not be prone to deterioration and rust. As well, this sling offers padding underneath the rings which is unlike most slings. This sling comes in black, grey, and nimbus with gold. The nimbus with gold style is an improvement over most linen slings. The baby stays in an upright position which will is good for the baby and your hips. Again, this sling does not detail the dimensions, so it is hard to tell if there will be extra length. While this sling is more expensive, this is in the running for the best ring sling on the market. Your body will thank you after the hundredth time that you are in a situation where you need to carry your baby. This article details five baby ring slings and offers a few advantages and disadvantages from a mother’s perspective taking into account the price, comfort and materials, safety, style, and functionality for each product. Happy nurturing!